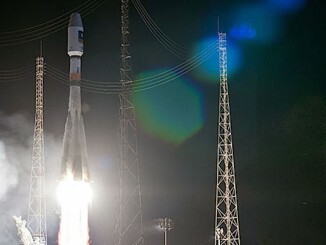 The quartet of broadband satellites lifted off from the Guiana Space Center on the northeastern shore of South America at 1703:37 GMT (1:03:37 p.m. EDT; 2:03:37 p.m. French Guiana time) Thursday aboard a Soyuz ST-B rocket after a 33-minute delay to allow extra time to conduct final checks on ground systems at the tropical spaceport. Riding more than 900,000 pounds of thrust, the Soyuz ST-B rocket arced toward toward the east from French Guiana over the Atlantic Ocean. In less than 10 minutes, the Soyuz booster deployed a Fregat upper stage in space for three engine firings to inject the four O3b satellites into a target orbit 4,865 miles (7,830 kilometers) over the equator. The four O3b satellites, each with a launch weight of about 1,543 pounds (700 kilograms), separated from a dispenser on the forward end of the Fregat stage in pairs. 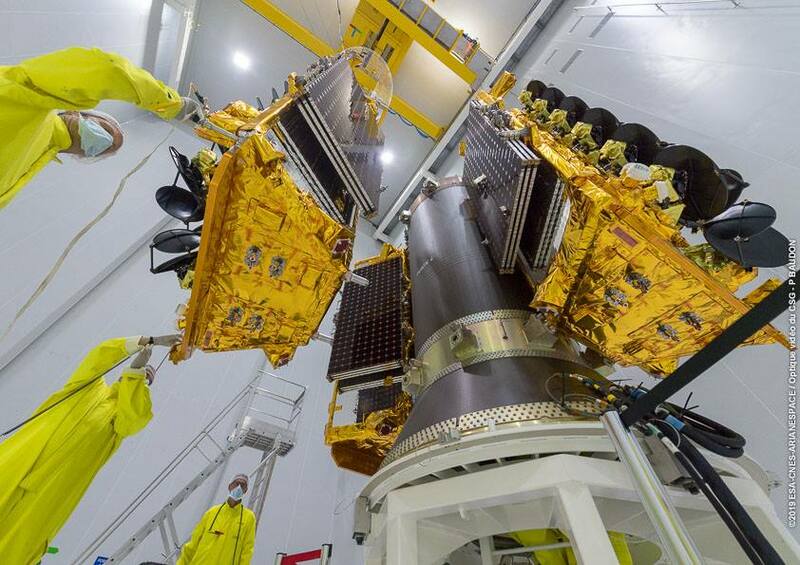 Ground controllers at Thales Alenia Space in Cannes, France, where the satellites were manufactured, confirmed all four spacecraft were alive and healthy soon after their separation from the launcher. 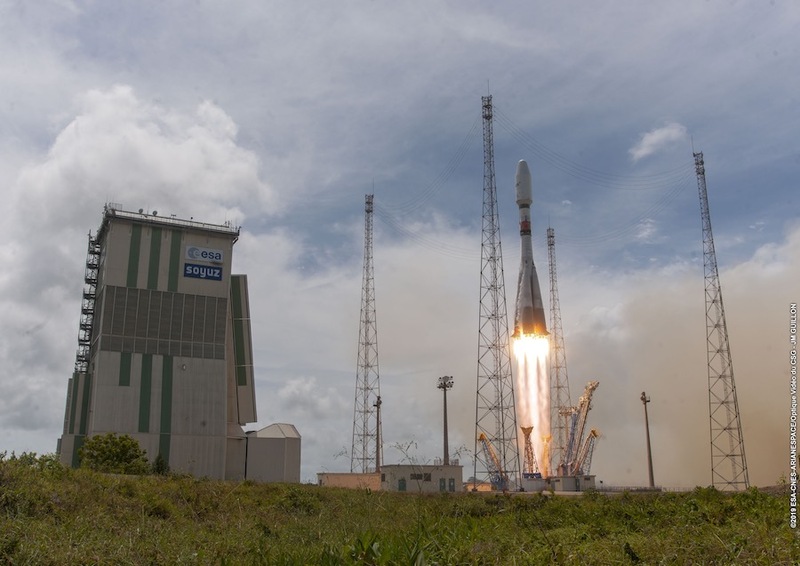 Arianespace declared the launch a success, concluding the fourth mission of the year for the French launch services company, which oversees Ariane 5, Soyuz and Vega rocket flights from the Guiana Space Center. “This launch marks a very important part in the O3b journey,” said John-Paul Hemingway, CEO of SES Networks, a division of Luxembourg-based SES. “We started O3b with this bold vision of changing lives by connecting people. We wanted to create a meaningful impact, and we have. 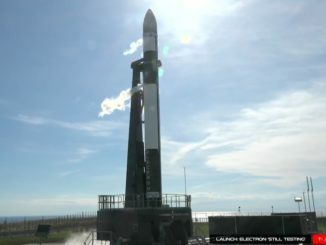 Thursday’s launch was the last flight with first-generation O3b satellites, which began launching in 2013. Five Soyuz rockets launched from French Guiana each delivered four O3b spacecraft to orbit, bringing the final constellation to 20 satellites. The O3b network provides broadband connectivity to Internet service providers, network operators, governments and maritime customers, including cruise ships. “We believe the Internet is a basic right,” Hemingway said. “It’s basically connecting people to people, people to the content they love to see, or people to businesses. We talk a lot about the explosion of data, and we talk about that in maybe London or New York, and that’s all well and good, but that should be everywhere. O3b Networks ordered eight upgraded satellites from Thales Alenia Space in 2015 to bolster the first batch of 12 spacecraft launched in 2013 and 2014. SES, an early investor in O3b Networks, purchased a 100 percent stake in the company in 2016 under the umbrella of the company’s SES Networks division. The new satellites answer growing demand for the “fiber-like” connectivity offered by the O3b network, which is positioned in a “medium Earth orbit” more than four times closer to the planet than conventional telecom satellites in geostationary orbit. The equatorial medium Earth orbit position is unique to O3b. The lower altitude reduces the latency, or lag time, experienced by customers sending and receiving data through the network. That’s an important measure for many customers who connect to the Internet through satellites, such as banking institutions, oil and gas companies, and maritime operators. Companies like OneWeb and SpaceX, which are developing constellations of hundreds or thousands of broadband satellites in orbits even closer to Earth, also herald the importance of low-latency connectivity. SES says the O3b fleet’s orbit combines the benefits of geostationary orbit and low Earth orbit. 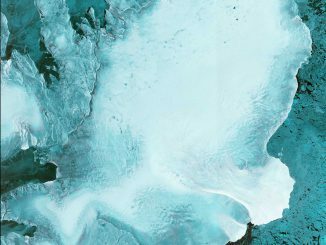 With a global fleet of dozens of traditional geostationary satellites, SES officials say they have flexibility in routing communications, depending on customer needs. 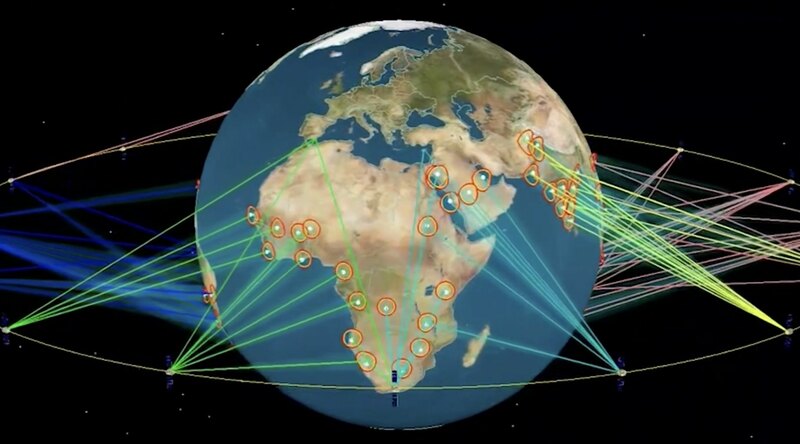 SES Networks has contracts with the U.S. government and other institutional customers to support defense and peacekeeping missions in Africa and the Middle East, and the O3b satellites have connected communities in Burkina Faso with broadband Internet for the first time. Maritime users are clustered in the Caribbean and in the Mediterranean, Hemingway said, with new demand in that sector also starting to emerge in the Asia-Pacific region. “Certainly, in the Caribbean domain and in the Mediterranean domain, there’s really more capacity we could use to grow the number (of ships) and grow the consumption per ship,” he said. “This launch is an important milestone for SES,” said Steve Collar, SES’s president and CEO. “It’s an important milestone as we look back through the O3b journey that started back in 2008. We launched our first satellites in 2013, and in 2015 we became the fastest-growing satellite operator of all time, and that was in the back of this bold vision that we set out to connect people in a way that hadn’t been done before with affordable, plentiful bandwidth in parts of the world that it was really, really tough to connect. “And now if you go to the DRC (Democratic Republic of the Congo), if you to Chad, if you go to large parts of landlocked Africa, to the Amazon, to the Pacific, you now see people connected to the Internet in a way that wasn’t possible before,” Collar said. SES ordered seven new spacecraft from Boeing in 2017 to comprise the upgraded O3b mPower broadband network, which will also reside in the same medium Earth orbit as the first-generation O3b satellites. Hemingway said SES “doubled down” on its commitment to medium Earth orbit with the O3b mPower program, while other satellite operators look at low Earth orbit constellations. The Soyuz launch Thursday marked the 22nd flight of the venerable Russian booster from French Guiana since October 2011, and the second Soyuz launch from the Guiana Space Center this year. It was also the second Soyuz launch on the same day, following six hours after a Soyuz-2.1a rocket lifted off from the Baikonur Cosmodrome in Kazakhstan on a resupply mission to the International Space Station.